Jurgen Klopp’s trophy-winning ways at Borussia Dortmund were one of the many things fans loved most about him when he first became a candidate to be the Liverpool manager. And thanks to Jordon Ibe and a much-needed first-half goal in the Capital One Cup semi-finals against Stoke City, Klopp could be one step closer to earning his first trophy in England. Liverpool let out a collective groan early in the match when star man Philippe Coutinho was forced off with an injury (via The Telegraph). 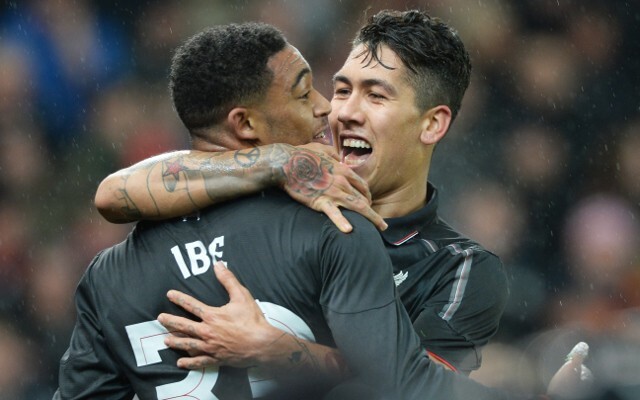 However, Ibe went from afterthought to scoring genius by applying the finish to a fast-paced move that gave Liverpool a 1-0 lead over Stoke City in the first half. A superb pass from James Milner picked out Adam Lallana – who managed to beat the offside trap far too easily – and the former Southampton star was able to race to the byline and cut it back for Joe Allen. The Welshman comically mishit it, but it rather fortunately fell to Ibe. The youngster took a decent first touch, before smashing it into the far corner to give the Reds the lead. The goal from Ibe was his first in any competition since Liverpool pulverized Southampton in a 6-1 romp during the League Cup quarter-finals last month.